Home Fashion & Entertainment Fetty Wap involved in shooting dispute..
Fetty Wap involved in shooting dispute.. Hometown hip-hop star Fetty Wap was involved in a dispute that erupted in gunfire, resulting in three people being wounded at an all-night deli in South Paterson, according to law enforcement sources. Fettp Wap, whose real name is Willie Maxwell, was not injured in the incident, police said. None of the people who were shot suffered life-threatening wounds. Paterson deputy police chief Troy Oswald confirmed that Fetty Wap and several of his friends were involved in the shooting, which happened shortly after 5 a.m. ET at a deli on Montclair Avenue. Oswald said the hip-hop star and his friends are not suspects in the shooting or a robbery that happened during the incident. Authorities would not confirm reports that the incident involved another hip-hop artist. 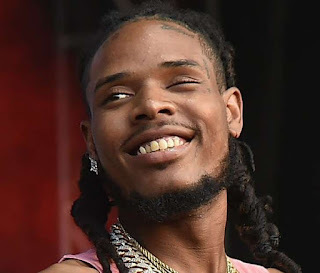 Police did not provide details on the victims' connection to Fetty Wap. Nor did they reveal the nature of the dispute that resulted in the shooting. Two of the victims were taken to St. Joseph's Regional Medical Center in Paterson and a third was treated at Hackensack University Medical Center, police said.